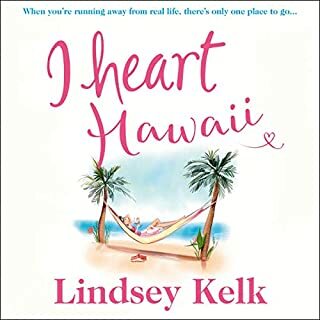 The brand new summer bestseller from the immensely popular Lindsey Kelk. Tess Brookes has always been a girl with a Plan. But when the Plan goes belly up, she’s forced to reconsider. After accidently answering her flatmate Vanessa’s phone, she decides that since being Tess isn’t going so well, she might try being Vanessa. With nothing left to lose, she accepts Vanessa’s photography assignment to Hawaii - she used to be an amateur snapper, how hard can it be? Right? But Tess is soon in big trouble. And the gorgeous journalist on the shoot with her, who is making it very clear he’d like to get into her pants, is an egotistical monster. 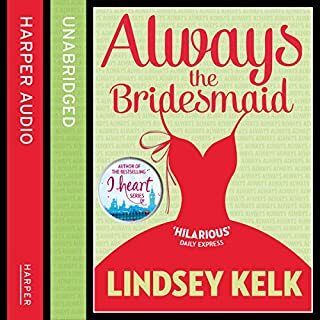 I have read Always a Bridesmaid and a couple other stand alone books by Lindsey kelk and loved them. 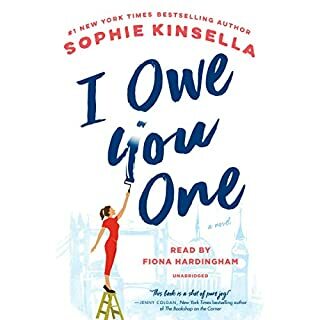 This book the language was just too much, constant swearing and I just couldn't get myself to root for Tess, the main character, bc she just wasn't somebody I would be friends with, nor did she seem like a real person. Her back story didn't really match up to how she behaved the rest of the book. No matter what she did, everyone around her adored her. It was really unbelievable bc i didn't find her even remotely likeable. She was annoying and made bad choices. I know this is a beginning of a series and I Def will not read the rest. 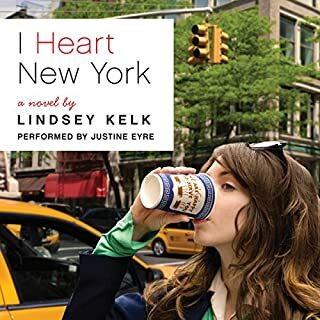 I will, however, explore the I heart series since I liked Bridesmaid so much. I thought the narrator did a good job with the many different voices, although I didn't enjoy the sounds of nicks, Amy's or Pekeepee's voice, I know there is only so much range a person can do and alterations to her natural voice so I give her props for being able to create distinct ones for each character. I wish I had read this "with my face", as we joke about here, before listening to the audio. I probably lost some of the story during the time i spent thinking "He wouldn't talk like that! No one talks like that! Literally!" Aargh. If really bad/completely unrealistic voices drive you up a tree, you might not love the audio version. The best friend is apparently Minnie Mouse, the fab gay man is from space (I guess, since no one on earth talks like that), the love of the protagonist 's life sounds like he's stoned and/or being verrrrryyy slowly strangled to death, and everyone else talks like they are pompously delivering a very important speech to (in?) Parliament. While being slowly strangled to death. The story was fun, the characters had layers, and best for me? 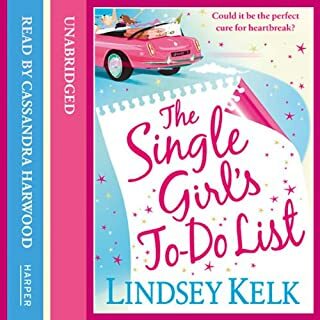 I didn't predict everything that happened, because this wasn't usual trite chick lit. I wish Tess liked & respected herself a bit more, but I think she might some day. It's hard to do when one lives life according to the expectations of others rather than stopping & asking what do *I* want out of this life. I think that's the lesson, which isn't bad at all. The story was great! And I know it was supposed to be this way, but I don't like that it left things untied. I need to know about Milan or the agency. I need to know about Nick or Charlie. I feel so unsatisfied! The other thing I disliked was the narrator had the same slightly annoying voice for at least 4 characters. Not unlistenable but still quite grating. Great story, couldn't get past narration. 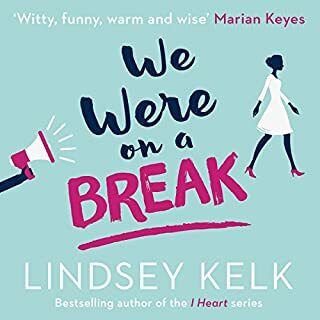 I loved the story, as I do most Lindsey Kelk novels, but the narration in this book threw me off. The voices were either extremely high pitched and unbelievable , or a strange slow drawl that was painful to listen to. 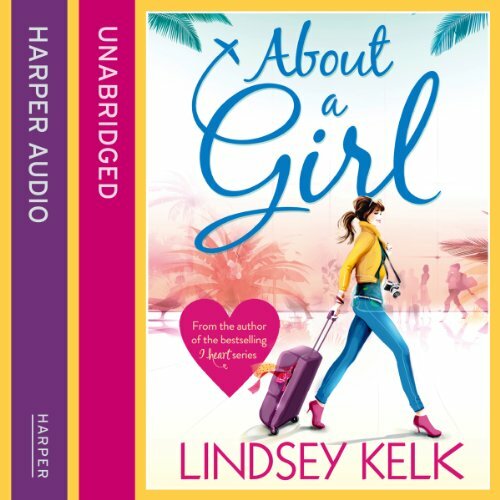 the only reason I was able to finish listening was to see what happened at the end of the story , but to be honest I considered just buying the print copy to escape the narration. no pude parar de escucharlo. me gustó mucho... hace tiempo no escuchaba un audio que me entretuviera tanto. no pude parar de escucharlo... a cada momento lo retomaba. Started out fine with Tess and Vanessa voices but the male voices were so bad I could barely listen!! Fun story but I like her other books way better! Ithis book is a good read and it has a good balanced ending and it was entertaining but not her best work. There too much alcohol and throwing up involved and that put me off. The story has an underlying theme of empowerment and taking control of your life when it is spiralling. Funny at times.